Dr. J. Rene Frontera, M.D. is a partner in the Michigan Institute of Urology, P.C., which he joined in 2001. He has been board certified in the specialty of urology by the American Board of Urology since 1994 and is experienced in all areas of adult urology. Dr. Frontera was born in 1957 in Barcelona, Spain and raised in Puerto Rico. He graduated with a Bachelor of Science from the University of Puerto Rico in 1981 and later obtained his medical degree from the University of Puerto Rico School of Medicine in 1985. He did a one-year internship in General Surgery followed by two more years of surgery residency at Hahnemann University Hospital in Philadelphia, Pennsylvania from 1985 to 1988. Dr. Frontera then completed his Urology Residency at Wayne State University in Detroit from 1988 to 1991. After finishing his urologic training he became Assistant Professor in the Department of Urology at WSU where he joined the teaching faculty as a full time staff member. He was then appointed Chief of the Urology Service at Detroit Receiving Hospital and was active in the Detroit Medical Center affiliated hospitals where he served as a member of the academic faculty until 1997 when he left the department to join private practice. During his tenure at WSU he also served as Director of the Endourology and the Urologic Trauma sections of the Department of Urology. 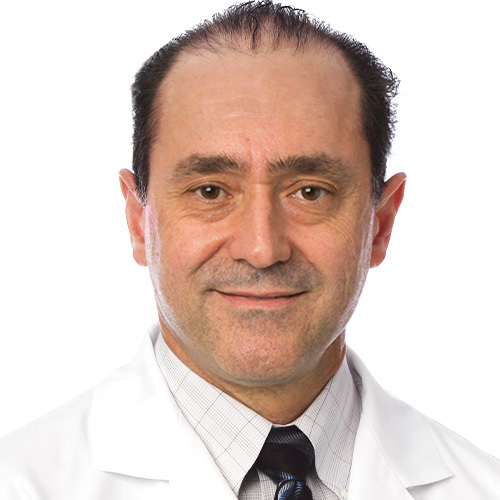 Dr. Frontera has developed a special interest in the areas of minimally invasive surgery, robotic surgery, endourology and urinary stone disease as well as lower urinary tract trauma and reconstruction. Dr. Frontera is Director of Minimally Invasive Surgery at Henry Ford Macomb Hospital in Clinton Township. He is the Clinical Program Director of Wayne State University’s Urology Residency program at St. John Hospital and Medical Center. Additionally, he specializes in cryosurgery of the kidney and prostate. He has published articles, chapters and lectured in these fields. He has been a member of the Society of Laparoscopic Surgeons performing Laparoscopic Urologic Surgery since 1991. His hospital affiliations include St. John Hospital and Medical Center, St. John Macomb Hospital, Henry Ford Macomb Hospital and Beaumont Grosse Pointe Hospital. Dr. Frontera is a member of the following organizations: American Urological Association, American Urological Association North Central Section, Michigan State Medical Society, Wayne County Medical Society, American Medical Association, Society of Laparoendoscopic Surgeons, Endourologic Society, Society of Robotic Surgery and the Latin American College of Physicians and Surgeons. His hobbies include tennis, music, travel and history. He and wife, Julie, are the proud parents of Andrew, Marlene, Mariana and Alex.